New learners of French are often unsettled or scared when they find out –very early- that every noun had a gender: masculine or feminine. 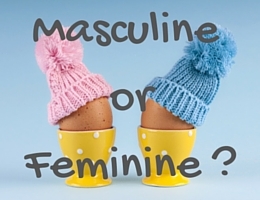 I hear you say: How to know whether a word is masculine or feminine? How the hell am I supposed to tell the gender of French nouns, to guess that the word” telephone” is masculine whereas the word “television” is feminine?? Well, the bad news is that you’ll need to learn/memorise it. And therefore you’ll need to set good learning habits from the start by memorising the gender of French nouns as part as your vocabulary! The good news (because there’s one!) is that you can learn rules to help you guess the gender of a word! Note 1: The following are only general rules to help you. They contain exceptions, not all of them are listed here. Note: we’re talking about the nouns, not about the adjectives ! Bonus: What about the names of brands ? How will you translate the following examples ? a) I bought a Mercedes. b) I like to play with my Playstation. a) I bought a Mercedes. = I bought a Mercedes (car). J’ai acheté une (voiture) Mercedes. b) I like to play with my Playstation. = I like to play with my Playstation (console). J’aime jouer avec ma (console) Playstation. Many students assume that if a word ends with the letter “_e”, it’s going to be feminine. That’s wrong, this rule would have too many exceptions! (eg. un téléphone, un livre, le musée du Louvre, un barrage, etc). The following rules should help you ! 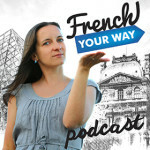 Note: for more about the word « copain », listen to French Your Way Podcast, episode 27 ! Don’t worry: you don’t need to memorise these general rules in one go, but it’s good to have an awareness of the clues that will help you predict the gender of a word. 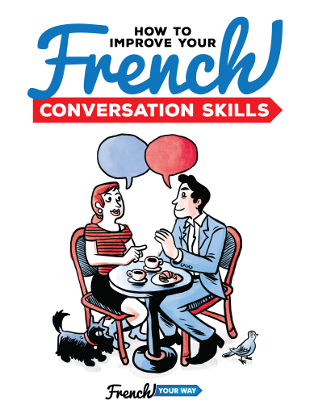 As you learn more French vocabulary, you can then notice some patterns and remember them better. When in doubt, it’s always better to refer to your dictionary to check the gender of a noun. Read my article “How to use your dictionary efficiently”. 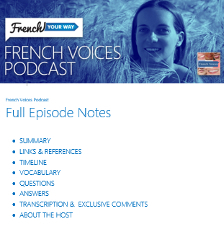 Remember that I’ve also recorded two episodes of French Your Way Podcast about the gender of French nouns, so you may want to listen to this option as well, especially if you’re an auditory learner. Now, test yourself with my free worksheet!